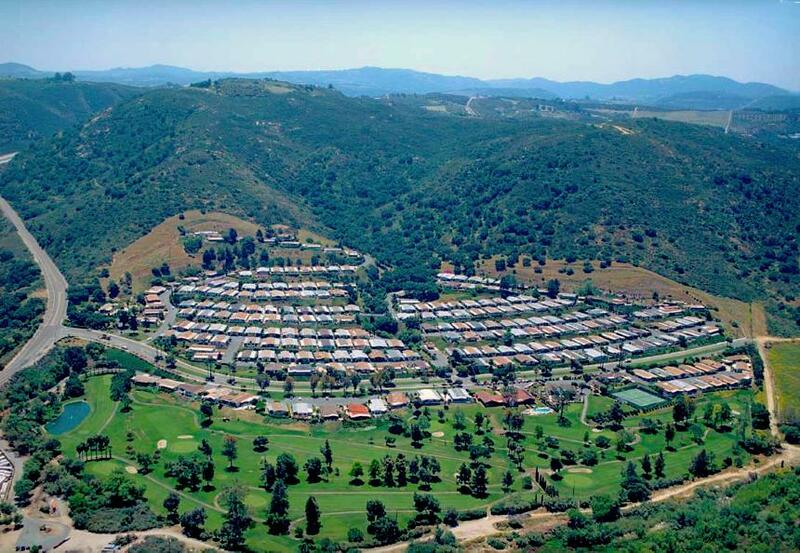 Rancho Monserate Country Club is a 55 plus resident-owned community of homes located just east of Bonsall and south of Fallbrook, CA. Developed in the 1970’s on the site of a picturesque and historic California rancho, this well maintained community offers a surprisingly affordable lifestyle for the active adult looking for a primary or secondary residence “in paradise.” You can see the whole complex in the photo below, including the great 9-hole golf course. Many homes have terrific views of the golf course, adjacent pasture lands, the San Luis Rey River Valley, nearby foothills and of distant mountains. There's easy freeway access - minutes to all services and six major golf courses and 16 miles to Oceanside fishing. Be as active as you like. Carefree living!